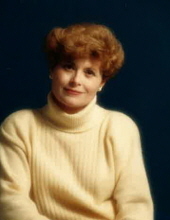 Judith Anne Hjelseth, age 77, passed away on February 5, 2019 while surrounded by her family. Judy was born in Walla Walla, Washington to parents George and Blanche Chesrown of Grant County, ND. She grew up in Spokane, WA and graduated from North Central High School in 1959. Judy then went away to Cascade College in Portland, OR where she met her husband of 40 years, Gordon Hjelseth. Judy worked as an elementary grade teacher for 25 years. She had a Masters degree and nearly completed a doctorate as well. She was passionate about teaching children to read and education. She spoke at numerous conferences on behalf of Scholastic to teach other teachers about the whole language approach. Judy played the piano all her life and loved to sing. She was a member of the Coeur d’ lairs singing group for a time when she and Gordon lived in Coeur d’ Alene, ID. Gordon passed away in 2006 and Judy moved to Mukilteo, WA in 2010 to be close to her sister, Sherrill Protzman. There will be a memorial service at 3:30 PM on Tuesday, February 12, 2019 at the First Presbyterian Church, 521 E. Lakeside Ave., Coeur d’ Alene, ID where she served as a Deaconess. Judy will be laid to rest with her husband Gordon in Spokane, WA at Fairmount Memorial Park Cemetery. To send flowers or a remembrance gift to the family of Judith Anne Hjelseth, please visit our Tribute Store. "Email Address" would like to share the life celebration of Judith Anne Hjelseth. Click on the "link" to go to share a favorite memory or leave a condolence message for the family.